Light Wolves is a World of Warcraft sister-guild to our Horde guild, Dark Wolves - both of which are based on the EU-Lightbringer realm. It was set up in anticipation of "Connected Realms" taking place, for those Horde members who wished to try a little of the Alliance side, in a friendly environment. Anyone who is currently a member of Dark Wolves are able to automatically gain membership to Light Wolves, should they so wish. 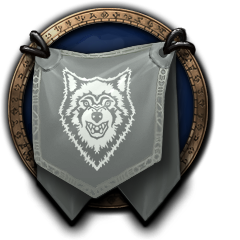 If you are already a Light Wolves guild member, you can register with the site without going through the application process, by using the launch code given in-game. If you are interested in becoming a Light Wolves member, please read our rules and general information and, if you find those acceptable, fill out an application form. If you have any questions prior to joining, please feel free to contact us either on the public forums or in-game.